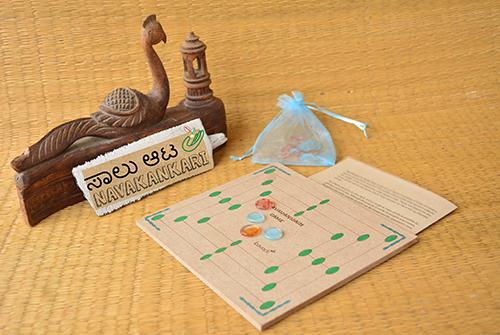 A strategy game for 2, Navakankari dates back to almost 2000 years ago. Navakankari is an advanced version of noughts and crosses and is also known as Nine Men's Morris, Daadi or Saalu mane aata. This fibreboard set comes with colourful and attractive glass pawns, in a fabric pouch.